Unless you live your life with a power bank attached to your body, you can’t possibly use your smartphone often and still have some battery power left. This applies even for Apple iPhone. Whenever I charge my smartphone, I often go and check whether it is fully charged or not. I’m very curious to take it back as soon as it is fully charged. But isn’t it hectic to go and check every time? Well, if you have the Apple Watch, then we have a pretty useful tip to monitor your Apple iPhone’s battery. Do remember that you need to pair your iPhone with your Apple Watch for this. 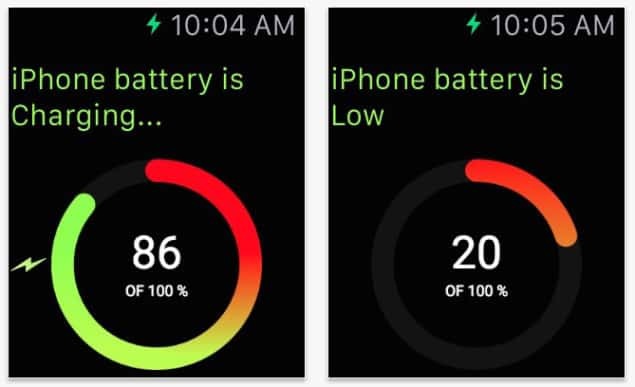 With the help of “Battery Monitor” app you can easily monitor your iPhone’s battery right from your Apple Watch. You must be curious why this app should be useful? Just consider this scenario, you just realised your iPhone’s battery is almost dead, so you left your iPhone in your car to get charged or you left your iPhone in your room upstairs. So when you have Apple Watch you don’t need to go to your car or go upstairs to check whether your iPhone is fully charged or not. Just within a matter of seconds you can easily see your iPhone’s battery charging status. Seems simple isn’t it? Just install the Battery Monitor app on your iPhone, then open the Apple Watch app, go to My Watch > Glances, then add “Battery Monitor”. That’s it. Now this app will alert you when the battery on your iPhone falls below a certain percentage and will also alert you when your iPhone is fully charged. Apple should have given this option by default for their iPhone and Watch combo, but oops, they didn’t. “Battery Monitor” app requires iOS 8.3 or later. It is compatible with iPhone, iPad, and iPod touch. This app is optimized for iPhone 5, iPhone 6, and iPhone 6 Plus. Hopefully it should also provide the same for the future iPhone versions. You can download this app for free on Apple App Store, but however the developer (Tom Etminan) might add more features and provide a premium version as well.